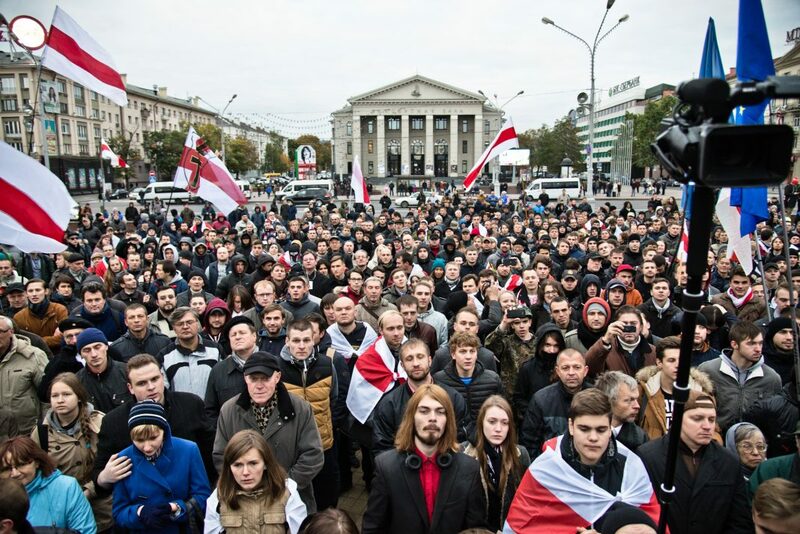 A protest of the democratic opposition in Minsk, Balarus. A European Union arms embargo against Belarus and sanctions on four Belarusian citizens has been extended for another year. European Union ambassadors on February 20 agreed to extend the embargo, which has been extended annually since its introduction in 2011. It does not provide for any exemptions. As reported by Radio Free Europe / Radio Liberty (RFE/RL), Hungary had managed – during the rollover process in the last two years – to exempt biathlon rifles and other arms used in sports. This year, Hungary initially wanted to link the extension of the embargo with the swift adoption of the Belarus Partnership Priorities, an EU document outlining the bloc’s future relationship with Minsk in areas such as people-to-people contacts, environmental issues, economic cooperation, and human rights that has been under negotiation for two years. But under pressure from the other 27 EU member states, Hungary backed down on the demand to formally link the two issues, but there was an agreement that Belarus would host what sources call “a high-level event” within the framework of the Eastern Partnership in October. RFE/RL also noted that the four people who are on the visa-ban and asset-freeze list are considered to have played key roles in the unresolved disappearances of four Belarusians in 1999-2000.